Charles Schaudel’s little French car company lasted a very brief time. He built his first car in 1900 and by 1902 he had sold out to his brother-in-law, who changed the name of the company to Motobloc (which lasted until 1931). The engine is a 10 horsepower two-cylinder unit that is mounted transversely (and, with its gearbox configuration, it is noted in the catalog that this car sports the same drivetrain layout as the original Mini). The engine was rebuilt in 2016 after taking part in 12 London-to-Brighton runs, which means it is fresh and ready to go this year. Only two Schaudel-branded automobiles are known to exist and this one has appeared on British television on multiple occasions. This is a pretty awesome find from a really obscure company. There’s really no reason something made in such limited numbers should still exist, but we’re sure glad it does. This one should bring between $170,000-$210,000 at auction. Click here for more info and here for more from this sale. Update: Sold, Bonhams London-to-Brighton 2018, $156,891. Founded in Westfield, Massachusetts, in 1901 by Charles Moore, Westfield did not produce cars for very long and, in fact, never really sold any gas powered cars at all, even though this car is actually gas powered. Their first cars were steam powered but he also sold cars with a chassis and body, but no engine. 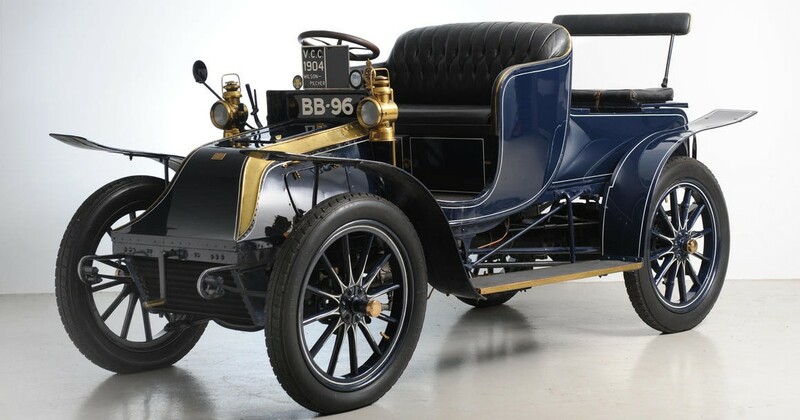 Giving owners the ability to choose their own engines for their cars would lead to some pretty outlandish automobiles today, but in 1902 pickings were slim and this car features a 2.5-liter two-cylinder engine making 13 horsepower – enough power to get this thing up to around 50 mph. It was built by a small engine building company called Remington. Westfield folded in 1903, having lasted just three short years. Restored in the 1990s, the car spent most of its life in the U.S., with much of the late 1990s and early 2000s touring the show circuit there. It came to the U.K. in 2006 where it has continued to be shown (and toured). You’re unlikely to find another car from this marque and this one, which is quite usable, should bring between $260,000-$330,000. Click here for more info and here for more from this sale. Aster was a French marque that built motorized vehicles between 1900 and 1910. They were also a major engine manufacturer – at one point they claimed to be the provider of engines for over 130 other companies. They should not be confused with the British Aster marque of the 1920s (though the British company started out building engines under license from this one). This car is powered by a 2.7-liter straight-four making 16/20 horsepower. It’s well-appointed and Bonhams makes the case that it’s about as perfect a car for entrance in the London-to-Brighton run as you can get. The body that is on this car is not original to the chassis, but is period correct and was applied during a restoration. 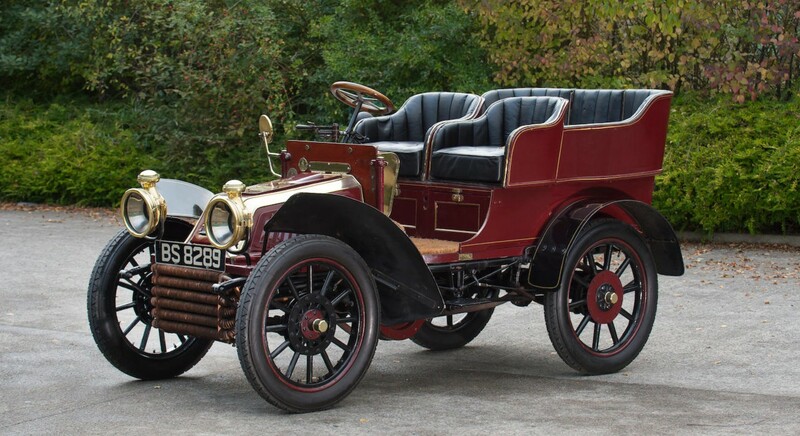 What you see here is a runner – this is a veteran car that you can drive considerable distance with a fair amount of confidence, because, as the lot description says, it is a practical old car. Or as practical as a 112 year old car can be. It should sell for between $290,000-$340,000. Click here for more info and here for more from this sale. Paul Decauville started building railway locomotives, rail cars, and train tracks in the 1980s. His company (which dated back to 1854) was at the forefront of industrial rail: their tracks were easy to set up and disassemble and move, making them perfect for farms, construction, and the military. 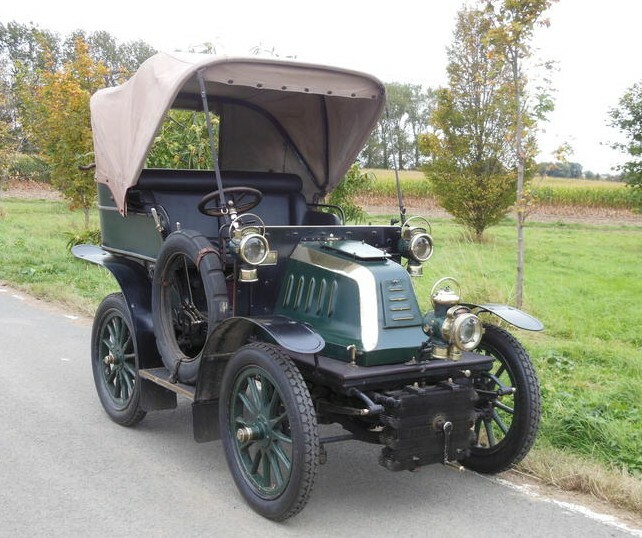 In 1898, the first Decauville automobile was produced. 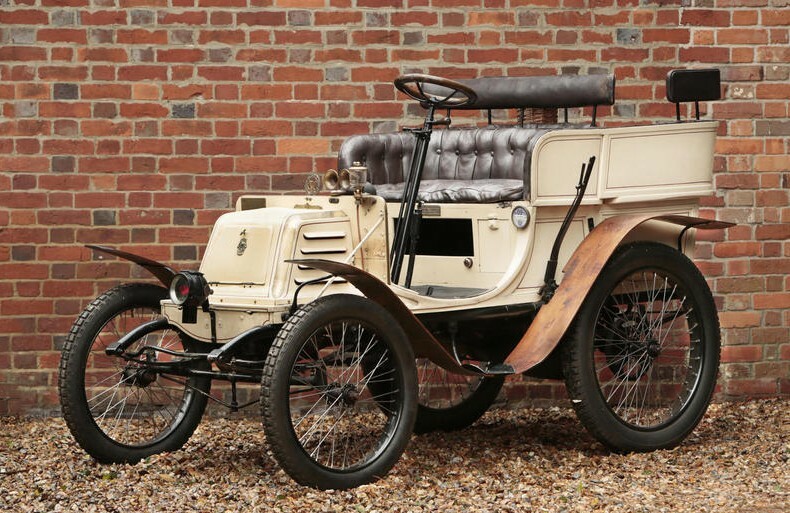 The 8½ HP model was introduced in 1901 and followed in the footsteps of the earlier 8HP – the brand’s first front-engined and modern-looking car. The power comes from a 1.4-liter twin-cylinder engine. The final Decauville cars were produced in 1911. This example has known ownership history back through WWII. The current restoration was completed in the 1950s and it has been used extensively – it’s completed the London-to-Brighton run 28 times between being restored and 1984. It should sell for between $130,000-$150,000. Click here for more info and here for more from this sale. 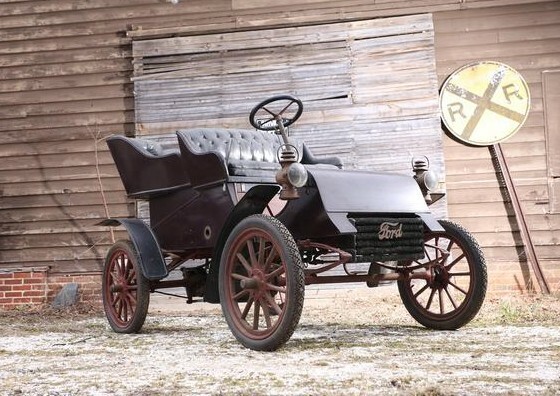 The 1903 Ford Model A was the first automobile produced by the Ford Motor Company. They built between 1,500 and 1,700 of those flat-twin-powered cars in only two years. The updated Model C followed in 1904 and lasted through 1905. Then what is a Model AC? It was a 1904 model year-only car that was essentially a Model A with the larger, more powerful engine from the forthcoming Model C. Call it a hot rod with its 2.0-liter flat-twin making 10 horsepower (up from eight in the Model A). It is thought that this car was restored in the 1950s and has been preserved since. With about 1,700 Model A/Model AC cars built, Bonhams states that only about 30-60 of them remain (but it is unclear if they are referring to Model As or Model ACs or both). At any rate, it is safe to assume that this is much rarer than a normal Model A. It’s in nice but not perfect shape and should sell for between $60,000-$80,000. Click here for more info and here for more from this sale. Sometimes early cars don’t really have model names – or maybe that have model names that we just don’t know. So instead, we call them by every conceivable descriptive attribute we can see – hence the somewhat ridiculous-in-name name of this car above. And sometimes, there are car companies that sound like a guy’s full name, but aren’t. This time, Georges Richard was an actual person. Richard worked in a bicycle shop with his brother and by 1897, he and his brother had branched out on their own and began building cars under Georges’ name in a shop north of Paris. 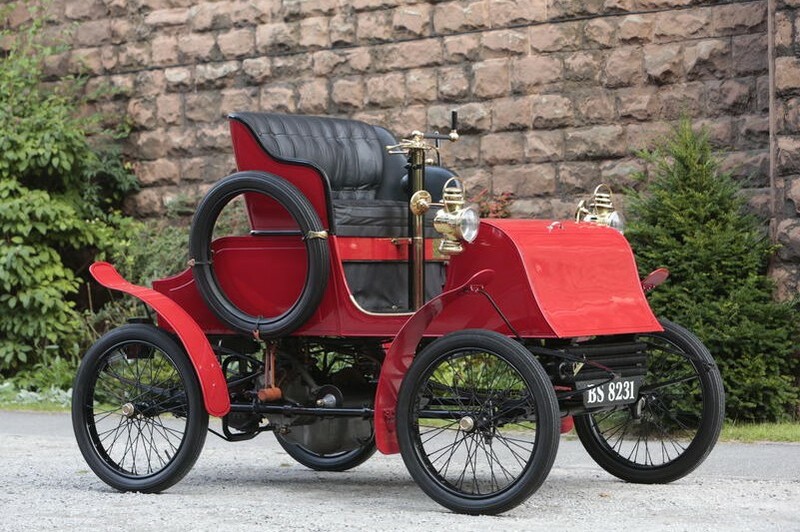 In 1901, an engineer named Henri Brasier joined the company and after 1903, the cars were re-branded Richard-Brasier (and just plain old Brasier in 1905 after Richard left the company). 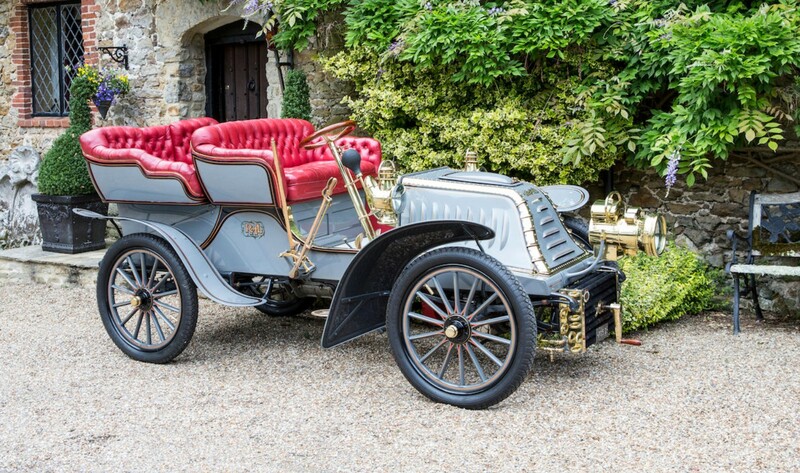 The car you see here was built by Georges Richard in 1901 – during the time when the company was building the Belgian Vivinus car under license (so it is very similar). The engine is a 785cc single-cylinder putting out 3.5 horsepower. It tops out near 25 mph. This car has been in the same ownership for the last quarter-century, but not much is known of it prior to that. Fun note: this car has a reverse gear that you can’t use because the original owner was too cheap to tick the box for the lever that engages reverse. In any case, this is a neat old car from a short-lived marque that should bring between $89,000-$97,000. Click here for more info and here for more from this awesome sale. Warwick was a very short-lived automobile marque. They introduced their first car toward the end of 1901 and were out of business by 1905. The company was based out of Springfield, Massachusetts, which was kind of a hot bed for early automobile manufacturers. In 1902, Warwick introduced their most powerful car, the six horsepower model powered by a 700cc De Dion engine. This example was a barn find of the late 1980s and was restored in the U.K., where it has resided since. Yes, the third and fourth seat are rear-facing, for those of you wondering how this is a “four-seat” Stanhope. Only being in production for a little over three years will make any car rare. It was once noted that this may be the only surviving 6hp Warwick. It should sell for between $97,000-$110,000. Click here for more info and here for more from this sale. I’ll start by saying that this car is described as “believed 1903 Lacoste et Battmann” – meaning no one’s really sure what this is. It was believed to be a Regal for many years until 2000 when an expert said it might actually be a Lacoste et Battmann. But if it were a Regal, it would still be a Lacoste et Battmann. Here’s why: Lacoste & Battmann was founded in 1897 by Jacques Lacoste in Paris. But they rarely sold cars under their own name. In fact, they built cars for other companies – as many as seven different marques. Regal was one of those seven companies. 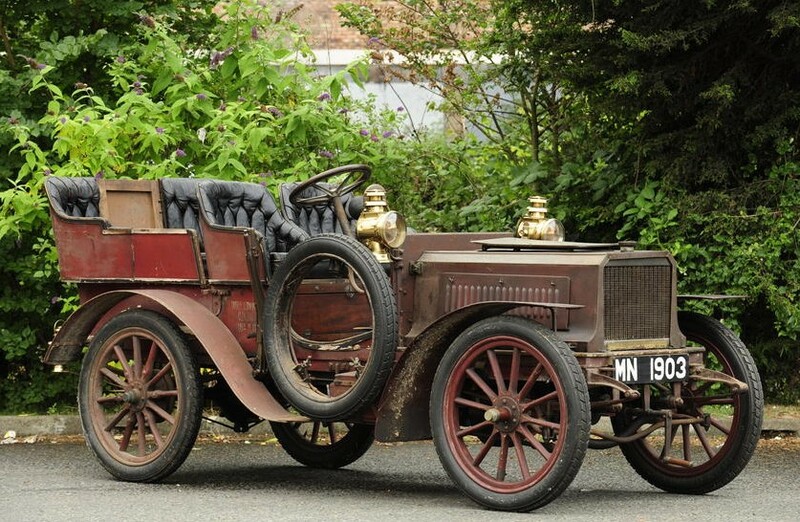 This car was purchased by its second owner at auction in 1908. It was worn out and restored (after only five years!) and put back on the road in 1910. The car has been in the same family since. The second restoration (which was mechanical in nature only) was completed in 2001. The engine is a 2.4-litre two-cylinder making 12 horsepower. If this truly is a Lacoste et Battmann, it is very rare. Even if it isn’t, it is very likely one of their cars that was marketed under a different name – and the rarity remains. The company closed up shop in 1913. This example – with 1908-era interior and exterior – should sell for between $210,000-$260,000. Click here for more info and here for more from Bonhams. Gaston Barré, like many early automobile producers, started with a bicycle shop. He opened his in 1894 but by 1899 realized what the new wave was going to be and started constructing quadricycles. Later that year he received some backing from a wealthy local in Niort and moved to a larger facility. Automobile production started in 1900 and Barré quickly became one of the many French automobile companies that rallied a strong following and had a steady output of cars for a number of years. What helped Barré become a fairly large regional manufacturer was that he came up with the idea of post-sale service. Barré would support his cars in private hands when they entered them in events. He expanded with a Parisian office and during the first World War he built military vehicles. After the war, the pre-war models remained with little changes and the company had to be reorganized in 1927 but it could never get past its out-of-date designs. Production stopped in 1930 and the firm was liquidated in 1933. About 2,500-3,000 Barré’s were produced over the years. This twin-cylinder Barré has four-seat tonneau coachwork from Henri Labourdette of Paris. 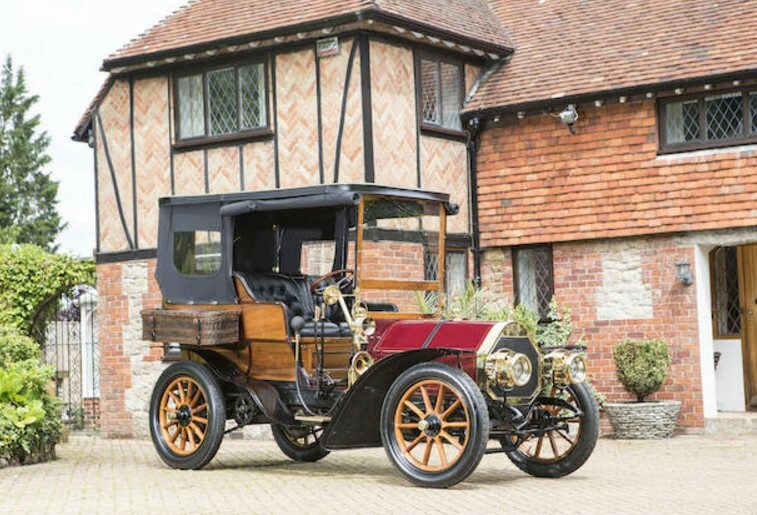 Barré’s are known for their dependability and build-quality and this car, at almost 110 years old, is no exception. It is expected to sell for between $190,000-$240,000. For more information click here. And for more from Bonhams in London, click here. In 1898, Walter Wilson and his partner, Percy Pilcher, attempted to make an aero-engine and beat the Wright Brothers to powered flight. Unfortunately, Pilcher was killed in a gilding accident in 1899. So, in 1900, Wilson set up shop in Westminster, London to build automobiles bearing both his name and that of his late friend. The car seen here is powered by a 2.7-liter four-cylinder making 12/16 horsepower. Wilson was a brilliant engineer who designed and built everything himself, inventing numerous things along the way. In 1903, the company was bought by Armstrong-Whitworth and moved to Newcastle-upon-Tyne. Production continued until 1907. When the First World War broke out, Wilson joined the Royal Navy but eventually found himself working alongside William Tritton and developing the world’s first tank, receiving a sizable reward for doing so. In the late 1920s, he would invent the pre-selector gearbox which would be used on various vehicles from Armstrong-Siddeley cars to buses and railcars. This particular car is the 52nd Wilson-Pilcher built after they moved to Newcastle. It is believed about 100-200 cars were built in total and this is thought to be the only survivor. It was retained by the factory from new and given to Walter Wilson’s son as a gift. He eventually passed it on to his son who loaned it out to museums – including The Tank Museum in Bovington. In 2006, the Rolls-Royce Heritage Trust volunteered to restore the car and now it is being offered for sale for the first time in history. It is expected to sell for between $290,000-$350,000. For more information, click here. And for more from Bonhams in London, click here.